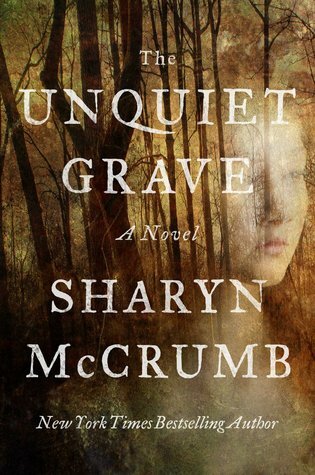 The best thing about most of author Sharyn McCrumb’s books are the ghosts. They’re never scary or murderous. They’re not generally out to do anyone harm. The ghosts are just a part of Appalachian mythology. Like Cole in The Sixth Sense, Nora Bonesteel, featured in many of the books in McCrumb’s Ballad series, sees dead people. She has the sight. Nora Bonesteel is not in McCrumb’s newest offering, The Unquiet Grave, but a ghost does play a key role. The book, unbelievably enough, is based on a true story in which an accused murderer is brought to trial based on evidence supplied by a ghost. The Greenbriar ghost, to be exact. The murder took place in West Virginia in 1897. The reader first meets James P.D. Gardner, an African-American lawyer who has been confined to a segregated insane asylum since attempting suicide following the death of his wife. He begins to be treated by Dr. James Boozer, who is trying out the newfangled practice of treating mental illness by conversation rather than lobotomy or electric shock treatment. In the course of their conversation, which is woven in and out of the novel, we learn that Gardner was involved as an attorney in the Greenbriar murder case. The story is told through these conversations. Back in 1897, beautiful and willful Zona Heaster marries Erasmus Trout Shue, a blacksmith who has been married twice before. His second wife died under mysterious circumstances. It isn’t long before Zona’s family starts to notice that things aren’t as they should be in the Shue marriage. Zona rarely sees her family, she is skin and bones, and she is isolated from the entire community. Within a short period of time, she dies from a fall down the steps. The fall is determined to be an accident. Zona’s mother Mary Jane is suspicious from the get go. 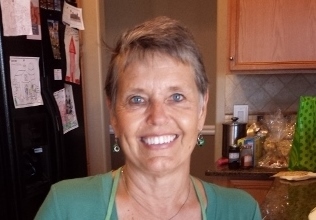 Though not a bit superstitious and deeply religious, she claims to see the ghost of her daughter, who tells her that she was murdered by her husband Trout Shue. Despite Mary Jane’s husband’s misgivings, Mary Jane pleas her case to the county prosecutor, who agrees to have the body exhumed. Upon examination, the doctor determines that Zona was indeed killed, likely by being strangled and then pushed down the stairs. Unlikely though it would seem, Mary Jane manages to convince him to bring the case to trial. Even more unlikely, Shue is found guilty. All of the above characters are apparently real, and the case is genuine. While The Unquiet Grave is nowhere near the best McCrumb novel, the story was fascinating nevertheless. The book is relatively short and the ending was extremely unexpected (and unable to be verified in any way as fact). It satisfied this reader. I also enjoyed learning the story through the conversations of a very interesting character, Mr. Gardner. It was a clever story-telling technique on McCrumb’s part. The Unquiet Grave is not a scary ghost story. Instead, it’s more of a history lesson. The Unquiet Grave is not part of McCrumb’s Ballad series, a series, by the way, I highly recommend.